So I heard that Faith started filming today. Is it true? Can't wait for some awesome pictures of the casts once filming is underway. Yes, its true. They officially start filming on 24th May. Some Lee Minho's photo at filming site. This is Kim Hee Sun updates, she said "Start from today (24th May), she will filming "Faith"
So it means Min Hyo Rin decline the offer to become Princess No Guk. 박세영, '신의' 첫 사극 도전 "박세영표 노국공주 표현 할 것"
[티브이데일리 이다혜 기자] 배우 박세영이 '신의'로 첫 사극 연기에 도전한다. 박세영은 SBS '신의'(극본 송지나, 연출 김종학)의 노국공주 역을 맡아 고려 공민왕 류덕환과 애틋한 사랑을 그리게 된다. 박세영이 맡은 노국공주는 자신의 나라에 볼모로 잡혀온 유약한 고려 왕자 류덕환(공민왕 역)을 오랜 기간 가슴에 품어왔지만 마음을 열지 않는 그로 인해 서러움을 눌러 담고 살아야만 했던 캐릭터다. 박세영은 이번 작품을 통해 외유내강 노국공주의 절제된 카리스마와 처연한 내면 연기로 확실한 눈도장을 찍을 예정이다. 박세영은 "김종학 감독님과 송지나 작가님의 작품에 함께할 수 있게 된 것만으로도 너무 큰 영광이고 가슴이 벅차다. 노국 공주가 쉽지 않은 역할이고 첫 사극 도전이어서 부담감도 있지만 훌륭하신 감독님과 작가님, 사극이 갖고 있는 힘에 나만의 매력을 더해 박세영만의 노국 공주를 표현해보고 싶다"며 당찬 소감을 밝혔다. 이어 드라마 '신의' 관계자는 "노국공주는 미움이 연민으로, 연민이 사랑으로 변하는 섬세한 심리묘사가 중요한 역할이기에, 신인이라고는 믿기 어려운 캐릭터 몰입도와 소화력이 뛰어난 박세영이 노국공주를 잘 표현해내 줄 것으로 기대하고 있다"고 전했다. 한편 김희선, 이민호, 류덕환 등 화려한 캐스팅 대열에 박세영이 합류하게 되며 더욱 관심이 모아지고 있는 SBS '신의'는 오는 8월 첫 방송될 예정이다. ^ Thank you for the updates. Oh, Lee Min Ho in his general outfit. Looking good! It is really too bad Min Hyo Rin decline the princess role, but the new girl looks good too. Who is she? She looks tall. I'm still confused with soompi new website. [티브이데일리 이다혜 기자] 김희선 이민호 주연의 '신의'가 본격적인 첫 촬영에 돌입했다. 지난 24일 서울의 봉은사에서 이뤄진 첫 촬영은 고려무사 최영(이민호 분)이 시공포탈 천혈을 넘어 처음으로 한국 땅을 밟게 되고 천혈이 닫히기 직전 은수(김희선 분)을 고려로 데려가는 극적인 장면을 촬영했다. 이날 연출을 맡은 김종학 감독은 장면마다 이민호 김희선과 심층적인 대화를 나누는 등 완벽함을 추구하는 열정을 드러냈고, 남다른 의지를 불태우며 진중한 모습으로 촬영에 임했다. 또한 이민호 김희선은 첫 호흡부터 고난이도의 감정연기를 선보여 두 사람이 그려낼 운명적인 로맨스에 기대를 드높였다. 이민호의 꽃 장군 자태와 6년만에 안방극장에 복귀한 김희선의 자체발광 미모에 지나가는 시민들은 탄성을 연발하는 등 최강 비주얼 커플 등극을 예고했다. 이민호는 "첫 촬영인데도 김종학 감독님과 제작 스태프의 꼼꼼한 준비와 배려 덕분에 잘 진행돼 기쁘다. 김희선 선배와의 호흡도 잘 맞았다. 작가님이 만들어주신 최영의 멋진 캐릭터를 살려내고 싶다"라며 당찬 포부를 드러냈다. 이어 김희선 역시 "오랜만의 촬영이라 떨리고 긴장될 줄 알았는데 막상 촬영이 시작되니 엊그제 찍다가 다시 온 것처럼 편안했다. 모든 게 제작진의 팀워크 덕분이라고 생각해 감사한다"고 촬영 소감을 전했다. 한편 본격적인 첫 촬영의 신호탄을 쏘며 더욱 기대감을 증폭시키고 있는 SBS 새 월화드라마 '신의'는 8월 첫 방송된다. This is so exciting! I really can't wait. I hope this drama will be good but I'm sure it will because Lee Min Ho will play here. The only thing I'm asking is for a good and satisfing ending. I loved watching City Hunter but the rushed ending kinda ruined it for me. I hope it won't happen again in this drama. 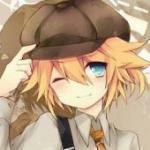 I like plotline and I think it will be interesting. The only two medical dramas that I watched so far are Brain and Dae Jang Geum. So I hope I will enjoy this one as much as I enjoyed watching the other medical dramas. Can't wait for this forum to grow! OMG the casting is great. Can't wait seeing this drama. Really love fantasy plus action kind like this and double plus is the actors and the actress I love. wow wow wow. New SBS drama, “Faith,” has just officially begun its first filming. On May 24, the first filming took place at Bongeunsa in Seoul. The dramatic scene was of Koryo soldier, Choi Young (Lee Min Ho), stepping onto Korea’s land for the first time after traveling through time and trying to take Eun Soo (Kim Hee Sun) to Koryo times before the portal to the time travel closes. Director Kim Jong Hak showed his passion for pursuing perfection by speaking deeply with Kim Hee Sun and Lee Min Ho during every scene. By showing their willpower like no other, the two main characters took on the filming with dignity. They had to do a difficult, emotional acting from the start, which makes people that much more anticipated for the destined romance that the two will portray. The drama, “Faith,” is the new drama done by PD Kim Jong Hak and writer Song Ji Na, who did the dramas, “Sandglass” and “The Legend,” in the past. It is a fantasy melodrama about a Koryo soldier, played by Lee Min Ho, and a present day female doctor, played by Kim Hee Sun, unfolding a love that transcends through time. It will broadcast its first episode on August 13. I read Lee Phillip will start filming Faith on 3rd June oops, they changed it into 6th June. [티브이데일리 이예지 기자] 배우 신은정과 윤균상이 김희선, 이민호와 호흡을 맞춘다. 31일 오후 신은정과 윤균상의 소속사 뽀빠이 엔터테인먼트 측은 “신은정과 윤균상이 SBS 드라마 ‘신의’에 전격 캐스팅됐다”고 알렸다. 드라마 '신의'는 ‘모래시계’, ‘태왕사신기’ 등 대작으로 안방극장에 신드롬을 불러일으킨 김종학 PD 송지나 작가 콤비의 신작이자, 김희선-이민호 등 초호화 캐스팅으로 큰 화제가 되고 있는 작품으로 고려시대의 무사와 현대의 여의사가 시공을 초월한 사랑을 그린 판타지 멜로물이다. 극중 신은정은 원나라 어의의 제자로 등장하며, 강력한 무공을 지닌 화수인으로 활약한다. 또 윤균상은 이민호가 연기하는 최영 무사의 호위무사로서 성심성의를 다해 그를 보필하는 역할로 등장하여 극에 활기를 줄 예정이다. 이에 신은정은 "전작 태왕사신기를 출연하면서 이미 '김종학 사단'에 대한 강한 신뢰감이 있었다. "며, "스케일도 크고 빠져드는 스토리를 가진 작품이다. 부담도 되지만 열심히 최선을 다하겠다"고 말했다. ^Thanks pallycute for the update. I can't wait to see Lee Philip in some historical clothes. for the update. I can't wait to see Lee Philip in some historical clothes. waahh!!! I'm TOTALLY IN! in these drama! I'm glad more people posting in this thread. Faith's drama start filming again on 6th June. I guess they start filming the Goryeo period. Some Lee Min Ho's fans from China visit him on drama filming location in Changwon City. Jeong Joon-ho comes back with "Faith"
Actor Jeong Joon-ho is returning with a drama. He is currently going through the offers for new SBS drama "Faith". Producer Kim Jong-hak sent him a love call and Jeong Joon-ho showed interest in it and seems like he is going to make a final conclusion. Jeong Joon-ho is going to take on the role of Gi-cheol, a high authority person in the Koryeo times. He is a character who wields absolute power and conflicts with Choi Yeong (Lee Min-ho) maintaining tension throughout the drama. Jeong Joon-ho is looking forward to a change in character unlike the funny roles he's played so far. JeongJoon-ho is taking a break from work after MBC drama "Queen of Reversals". He had been looking through his many offers to come back with something after his marriage in March last year. "Faith"is a fantasy historical drama that draws the adventures and love between a warrior and a modern day doctor. The cast includes Lee Min-ho, Kim Hee-seon, Seong Hoon, Choi Philip, Ryoo Deok-hwan and more. Kim Hee-seon "Acting life part 2"
Actress Kim Hee-seon said, "If I completed the first part of my stardom life thanks to the fans and their support, now I will live part 2 of it as a true actress". Kim Hee-seon who is coming back with SBS TV drama "Faith" for the first time in 6 years since "Smile Again" in 2006, said she wanted to be seen as an actress and not a star anymore. She is currently busy making the drama. In this fusion historical drama about a warrior in the ancient times and a modern day doctor Jeon Eun-soo falling in love, Kim Hee-seon actually took part in clinical training and was coached through a surgical process for her role. She also learned how to ride a horse from three months ago. Having debuted as a teenager in 1993, Kim Hee-seon said, "A long time has passed since I first started my way down this road. I will be Jeon Eun-soo and not Kim Hee-seon for the next six months. She expressed endless trust in the producer Kim Jong-hak, writer Song Jina and actor Lee Min-ho and said she wanted to make the wait worthwhile. She posted, "I leave work at starting time everyday" on her fan café. Meanwhile, everyone else on board with "Faith" is working hard to make the drama a high quality one. I hope Jeong Joon-ho will join Faith. I like him ever since Last Scandal. Faith has such an amazing casts with all my favorite actors in it. Really looking forward to it in August. 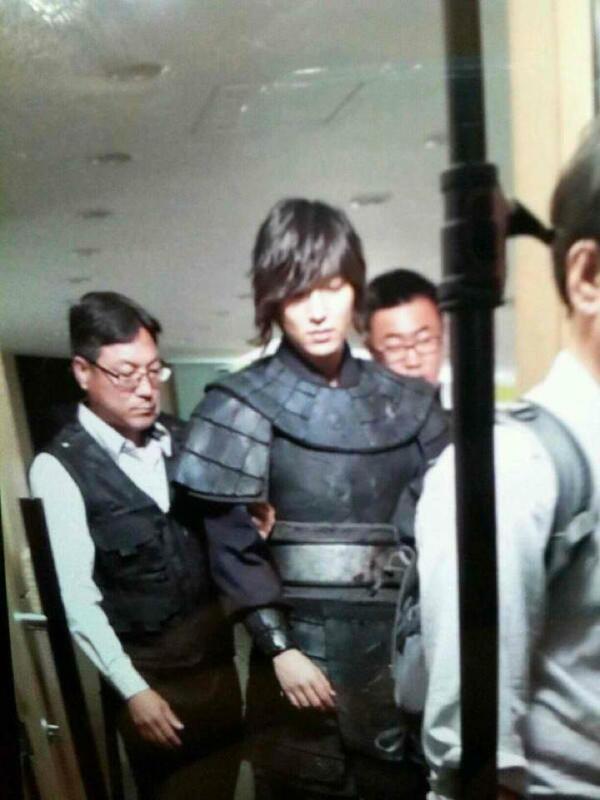 Actor Lee Minho was revealed in his suit of armor. A fan of Lee Minho's personally took pictures of him on site of the SBS drama "Faith" and posted them on a blog. The drama "Faith" was filmed on its set for a week now since the 5th. Open to the public, the site was crowded with people gathered to see Lee Minho and during break time, there was flashes from camera everywhere as if it were a fan meeting scene. This picture was apparently taken with a zoom-in lense and even the word "Faith" is on there in a brush-like font so it seems like the main page of an official site. Those who have seen this picture are surprised at how well it was taken, thinking an official page had already been put up when the drama hadn't even started yet. Lee Minho in the picture is waving around his sword as the warrior (the king's warrior Choi Yeong). In the synthetic picture of the two same characters facing each other, there is tension surrounding it as if he is fighting with himself. In other pictures, he is smiling like a boy. Being in his mid-20s in the drama, Choi Yeong is a blunt warrior who never laughs but is also quite random. He sometimes grins brightly. This character of Choi Yeong faces conflicts with the female doctor Eun-soo who flies over from the modern times to the Koryo times but soon feels attracted to her. Those who have seen the movie say, "He is so cute but charismatic at the same time", "He is well fit for this role being so tall and all", "I didn't know he would look so good in armor" and more. SBS drama "Faith" will be aired in August with a cast of Lee Min-ho, Kim Hee-seon, Ryu Deok-hwan, Park Se-yeoung, Lee Philip, Shin Eun-jeong and more. "It is a fantasy melodrama about a Koryo soldier, played by Lee Min Ho, and a present day female doctor, played by Kim Hee Sun, unfolding a love that transcends through time." I think it will be hard to top Queen Inhyun's Man version of the love that transcends time.